​If you had to choose one supplement to take to improve performance, gain muscle, strength and agility, creatine would be that one supplement. High quality creatine is cost effective, produces quick results, and has real science backing up it's effects. But which is the best creatine for men? Why is creatine so good, when there are plenty of other supplements on the market? For athletes, creatine has been shown to increase your power, running capacity and lean body mass. Even if you aren’t an athlete, creatine can increase your DHT (dihydro-testosterone) levels and keep you feeling manlier than ever. While some fear DHT, because it can be associated with hair loss, this is on a genetic basis. If your hair is genetically prone to falling out, DHT may speed up the process. This is totally natural and not something the vast majority of people should worry about. But what is a good creatine supplement? You may be thinking. Everyone is individual; some people are creatine non-responders or get bloated from supplementation. The best creatine brands for them are those that include certain sugars and amino acids to improve its absorption, or different forms of creatine. If you get bloated from creatine monohydrate, which is the best creatine supplement for you? There are other forms of creatine which are absorbed differently and will prevent you from bloating up. This article will cover what the best creatine to take is depending on your needs and your budget. Even if you aren’t an athlete you have something to gain from creatine supplementation. We will start with reviews of the best creatine supplements on the market, after that we will do a detailed breakdown of all the different creatine types. Feel free to skip ahead to the creatine types breakdown if you think this might help you in your selection of creatine. Optimum Nutrition is a company that has been in the supplement industry for years. They have a well-deserved reputation for quality products with a quality price. Optimum Nutrition’s creatine powder is a bare bones supplement that is simple and effective. Additionally, Optimum Nutrition creatine is widely available in the UK, if you are wondering what is the best creatine in the UK, this may be a good choice for you. With the company’s reputation on the line, you can expect nothing but the best from them. Let’s be realistic, not everyone likes a powdered supplement. Some don’t like the taste and some find it inconvenient. All American EFX’s Kre-Alkalyn may just be the best creatine to take for those people. Rather than a powdered creatine supplement, they have the creatine pre-capped for you. You can take those caps with you, on the go, or quickly swallow them before your workout. Some people have trouble absorbing creatine. Other people get bloating from creatine. What is the best creatine for those people? Creatine Chrome with Magnapower may be the best option. It sources creatine magnesium chelate, which is a new form of creatine with enhanced absorption and bioavailability. Considering 25% of people are creatine non responders, it is certainly worth a try. Many forms of creatine need to be loaded at high doses for a few weeks to bring on the benefits sooner. Creatine HCL is another new form of creatine that has no loading time. An additional benefit of creatine HCL is that it does not require as high a dose for the same effect. The standard dose of creatine HCL is 750mg to 1000mg per day. CON-CRET is as reputable as any of the other creatine brands, and should be considered when you decide what is the best creatine to take. There are quite a few forms of creatine available. No one has quite concluded which creatine is best. Beast Sports Nutrition solves this problem by making a creatine complex with most of the available forms on the market, in its formula. When all that is said and done, the Creature Creatine Complex additionally has an advanced bioavailability formula to improve delivery and absorption. Creatine brands don’t come any better than Beast Sports. If you are wondering what is the best creatine for you, especially if you are a non-responder or get bloating from creatine supplements, Creature Creatine Complex may be right for you. Making the most of your creatine supplementation could mean expanding beyond just creatine supplements. Creatine works synergistically with certain amino acids to build muscle and better fuel your workouts. VINTAGE BUILD created a creatine supplement that also contains a branched chain amino acid complex and L-glutamine. These three supplements together will maximize the muscle growth potential and the efficacy of your creatine supplementation. The BCAAs and L-glutamine are best yielded before or after your workouts, so on your workout day try to take it at those times. XPI supplements took a high quality creatine mix to a whole other level. They have taken all 10 widely available forms of creatine, on the market, and mixed them together into the ultimate creatine blend. If you are wondering what is the best creatine, as far as comprehensive mixes go, this is one of the best creatine brands. If you have any problems absorbing normal creatine or get bloating and gas, give Decacor Creatine a try. What is the best creatine to take after your workout? Jacked Factory has tried to answer that question with it's comprehensive POWERBUILD Formula. Their formula not only takes advantage of amino acids that work synergistically with creatine, they also throw in black pepper extract, a powerful bioavailability agent that has been shown to increase some supplements absorption by up to 2000%. That makes this not only one of the best creatine blends for creatine non-responders, but also for people who want to maximize their benefits in general. Jacked Factory topped all that up with an excellent post workout recovery formula that anyone would be hard-pressed to find potential improvements on. Muscle Pharm is one of the creatine brands with a serious reputation in the supplement industry. They make a simple creatine blend that has the basic necessities to produce results, you don’t necessarily need anything fancy to benefit from creatine, and Muscle Pharm recognizes that fact. If you want the variety of different forms of creatine with the convenience of an easy to take pill, look no further than Kreatin. They yield 3 forms of creatine, that are well researched, with great potential, and put them in a convenient capsule form that you can take quickly without the pain of a powdered supplement. Creatine pyruvate has seen a lot of potential in scientific studies for creatine non-responders and may be a good bet for you. Often referred to just as creatine mono, this is the simplest, cheapest, and most studied form of creatine. If budget is a concern, creatine monohydrate will benefit you likely just as much as any other form. If bioavailability is a concern, consume with high glycemic sugars. 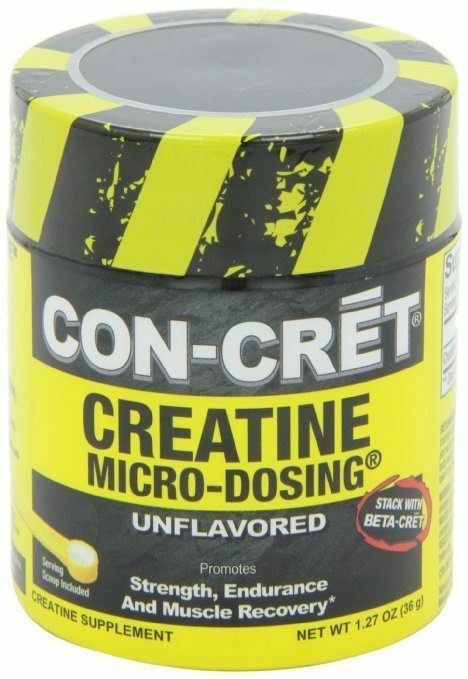 Micronization of creatine monohydrate also improves absorbtion. This form has something called an ester attached. Essentially, what this means is an improved absorption, and no loading period necessary. The main cons are that it tastes absolutely awful and it is a bit expensive. Creatine citrate is very water soluble and has heightened absorption. Where it really shines is in the users who get stomach discomfort from other forms don’t get it from citrate. This form of creatine is bound with malic acid and is rather unstudied on it's health effects. It shines in it's improvement in exercise performance and post workout recovery. It also has a more powerful cell-volumizing effect. This form of creatine doesn’t convert into creatinine, the blood level that makes your doctor panic when you supplement creatine. While this conversion isn’t inherently helpful, it is not useful either. This form also has improved absorption and no loading period. There are dozens of other forms of creatine, but these are the most common and the ones you should know when deciding what type to take. Our top choice is creatine ethyl-ester as it has a good cross between price and improved effects/absorption. Creatine is an incredibly powerful supplement that is well studied and widely available. The benefits speak for themselves. This doesn’t make it any easier to sift through all the products available. Our top choices are Optimum Nutrition’s Creatine and Jacked Factory’s POWERBUILD. They are both products that are well priced for what you get. If you want basic Optimum Nutrition is your best bet. If you want to take advantage of supplements that creatine works well with and maximize your workout results, POWERBUILD is our choice.